Doc: [as Val is urging them to steal the car] This car belongs to the Jargoniew brothers. I happen to know that. Val: A-and that's supposed to mean something to me? Doc: Nobody messes with these guys! They are the type of guys that take your kidneys out and not even sell them! I read some of the reviews here, and I think that some who have reviewed this extremely negatively (as in 1/10) are those who appreciate a movie with lots of explosions, and maybe some guys with their tops off, flexing their muscles to accentuate just how tough they are. Luckily, there isn't much of that in Stand Up Guys. 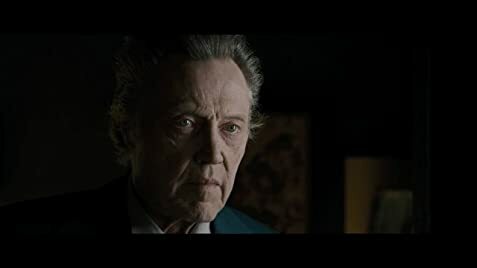 It's character-driven, centered on the relationship between Val (PAcino) and Doc (Walken), both of whom are spectacular. There's some great dialogue between the two, and despite what you may read on here, the story is quite solid, if simplistic. 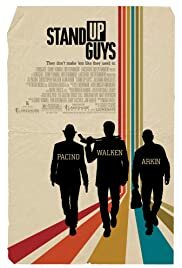 I don't think people have fully grasped these characters in some reviews, or the meaning of the title "Stand Up Guys". They're throwbacks, and the situations they encounter represent the direction the world has headed over the years, a world that Doc is forced to be a part of, despite wanting a quieter life. I won't go on any further, but I found the characters endearing, and the relationship between Val and Doc kept me on the hook. 124 of 147 people found this review helpful. Was this review helpful to you?